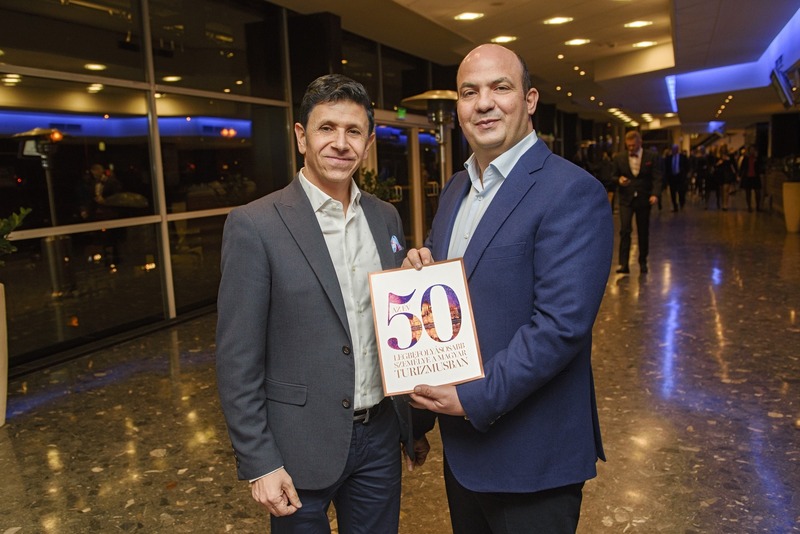 Owners and CEOs of Mellow Mood Group, Mr. Sameer Hamdan and Mr. Zuhair Awad were selected among the 50 most influential persons in the Hungarian tourism industry, for the fourth year in a row. Tourism Ltd. presented its well-known publication, in which the jury of their team and 20 members of professional organisations voted again for the most influential persons in the domestic tourism sector, based on their professional work. During the selection process, not only the size and revenues of the companies were taken into consideration, but also their influence on the tourism sector and their foreign and domestic reputation. Jury of the head persons of the major professional tourist organizations, fourth time in a row – since the release of the list every year – considered that the owners of Mellow Mood Group take place between the most influential persons in the hospitality industry. More than 20 years ago, owners and CEOs of the most dynamically developing hotel group of the last decade, Mr. Sameer Hamdan and Mr. Zuhair Awad arrived to Hungary as students. For their achievements, today they are known as prominent members and among the most influential persons in the department. The past years for Mellow Mood Group were not only about the growth and stabilization, but also about the planning and preparation for the upcoming new development. After the centralization of the organization and the number of workflows support the software development, group is ready to invest for up to 4-5 hotel expansion. The hotel group’s current major project is restoring an emblematic building to its original beauty and open it for the capital: the reconstruction of the Parisi Udvar have started and it will received in 2018 with getting a worthy function as a luxury hotel with conference facilities, an elegant, lavish penthouse suit, a bar on the top floor with breath-taking view to the Buda side. On the ground floor and first floor with cafés, restaurants and shops, in an authentical interior design. The owners and CEOs of Mellow Mood Group believe that their success lies in their employees and their young dynamic, besides the strong leadership.